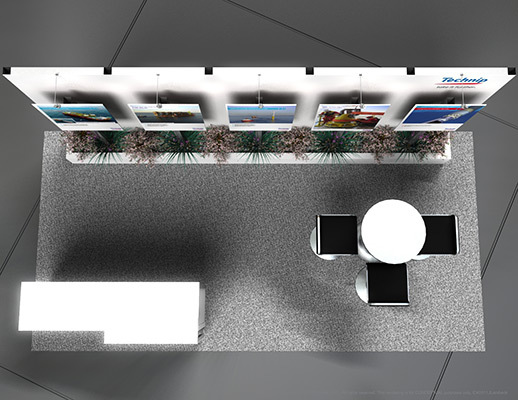 Varying depths in the back wall allow for different levels of visual engagement, with the prominent focus being the center. 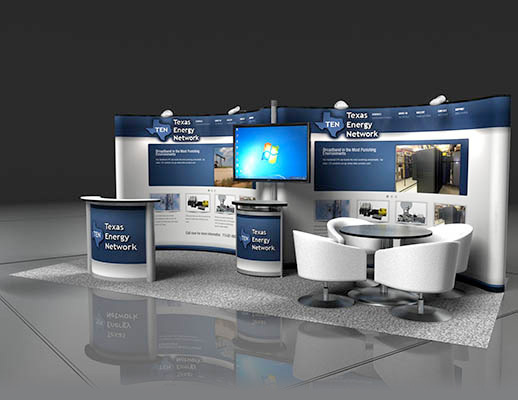 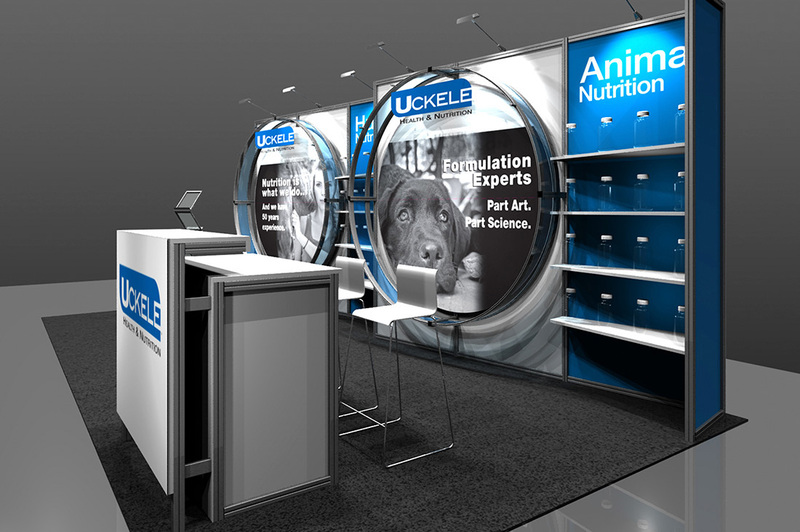 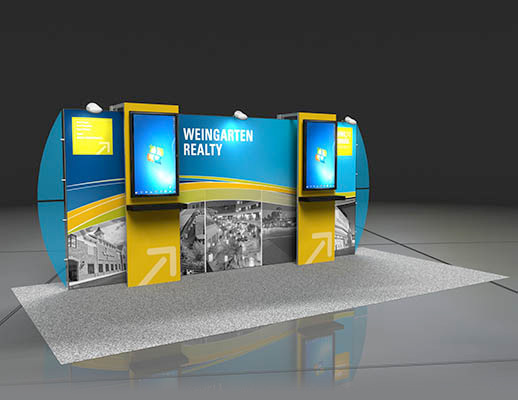 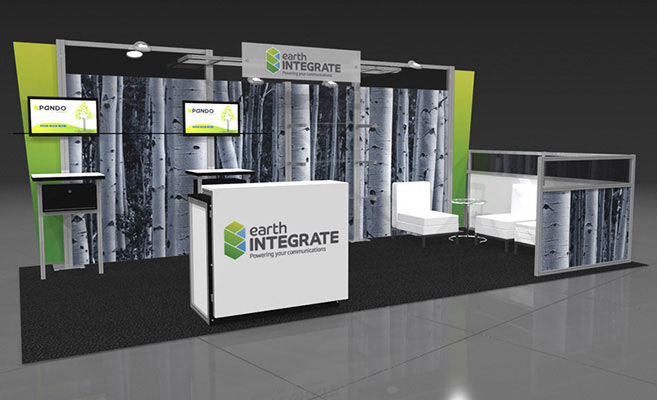 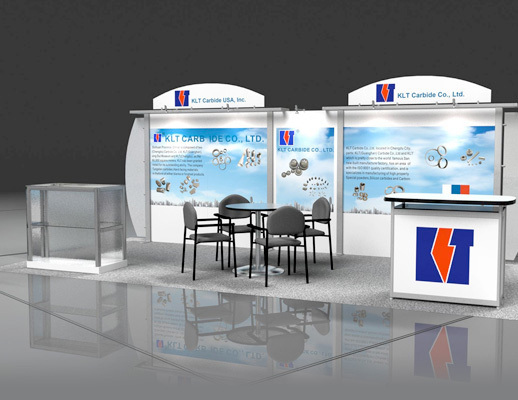 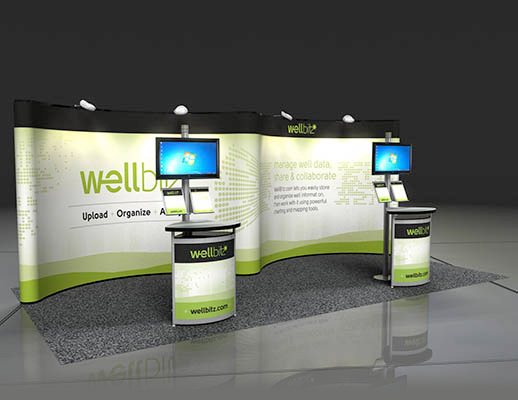 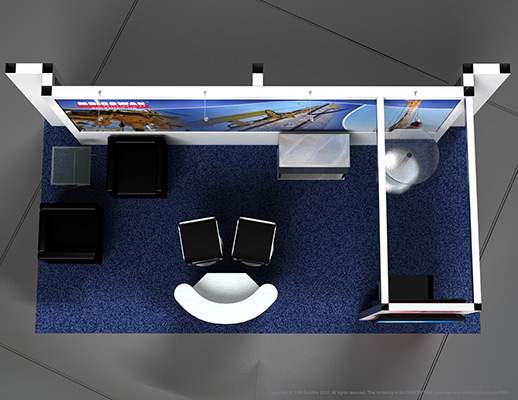 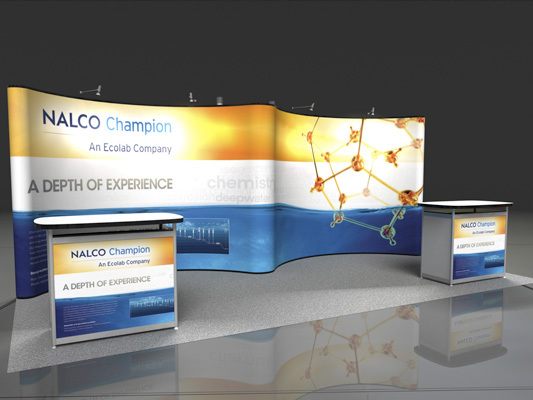 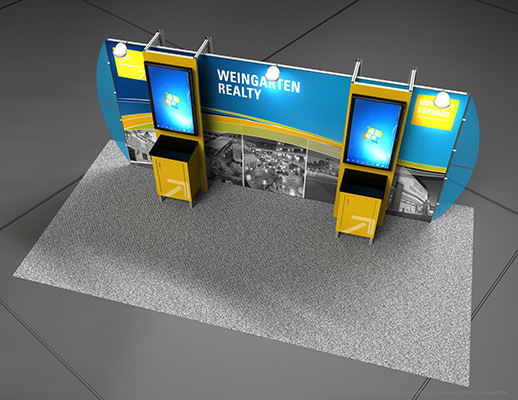 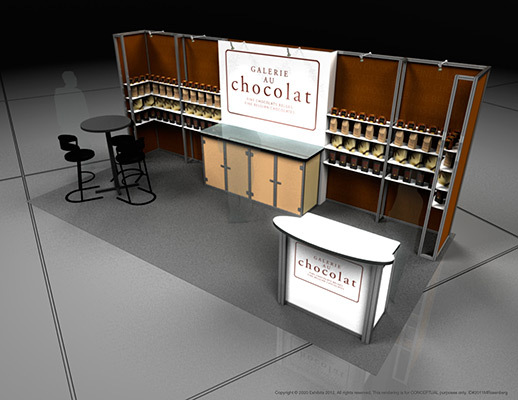 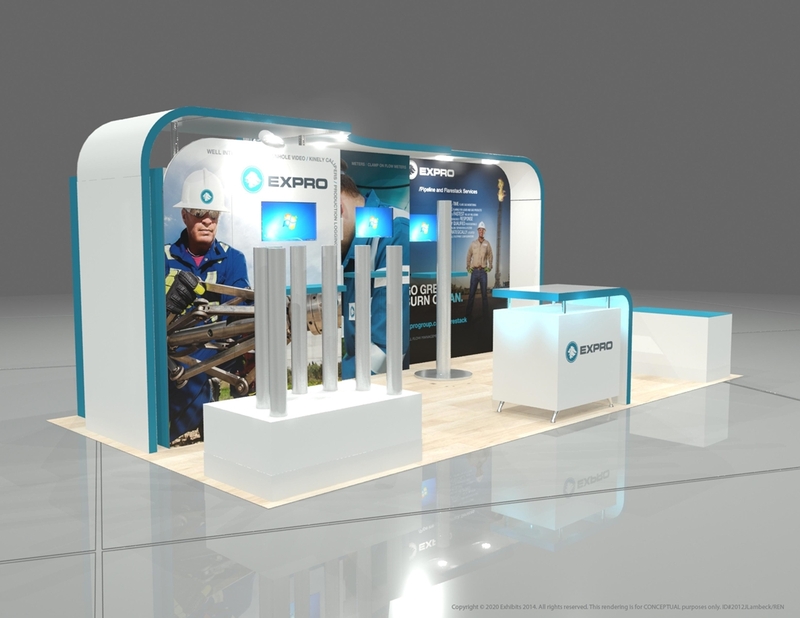 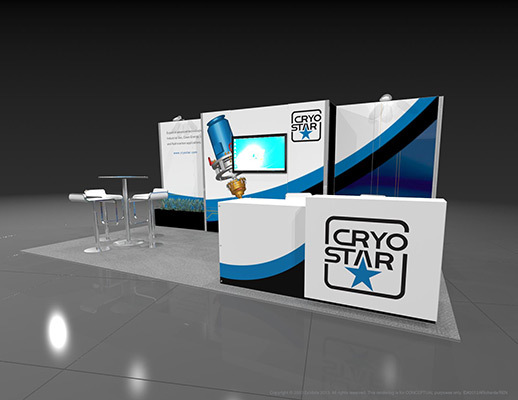 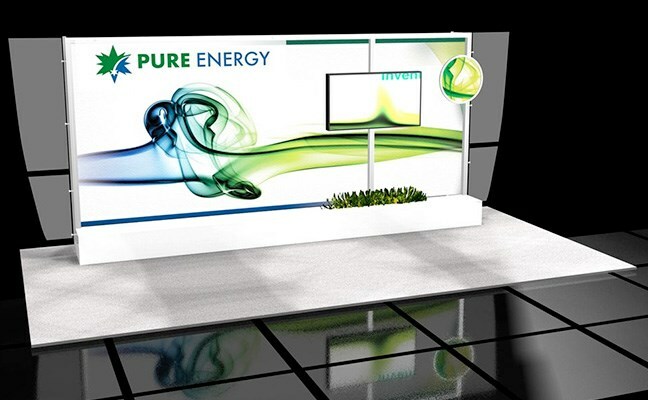 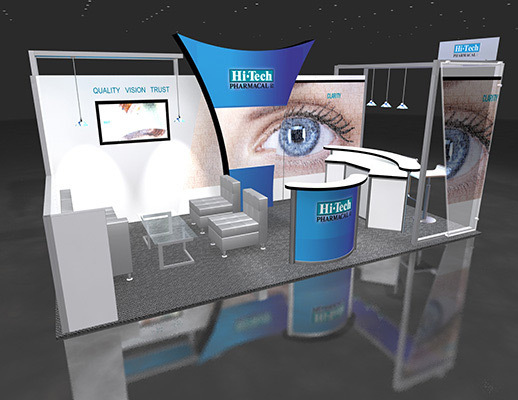 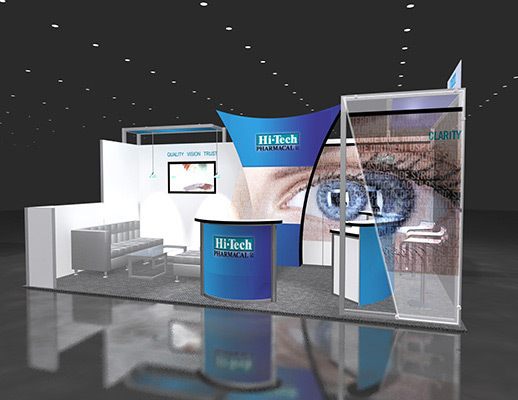 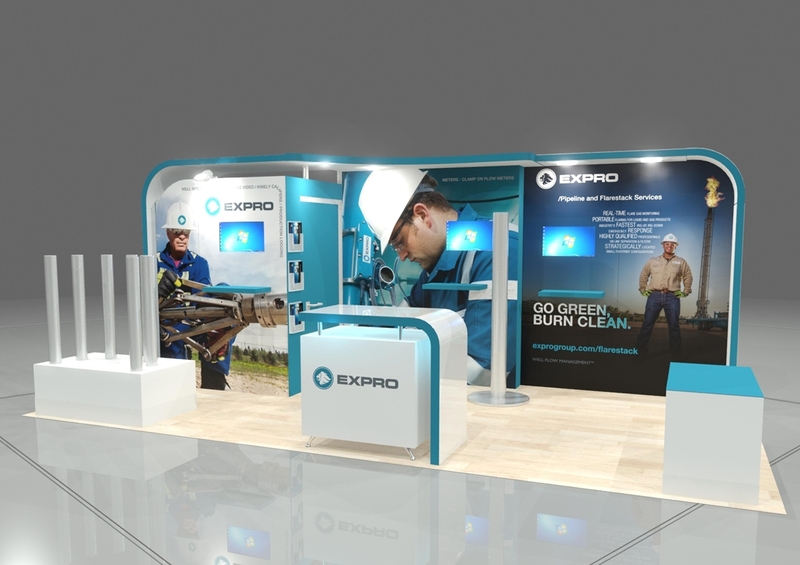 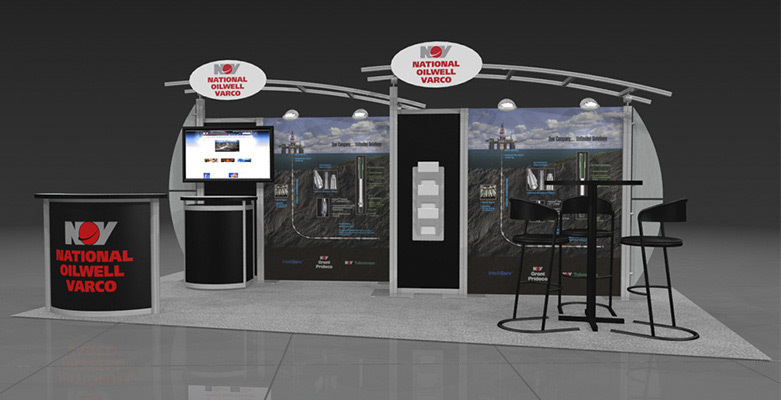 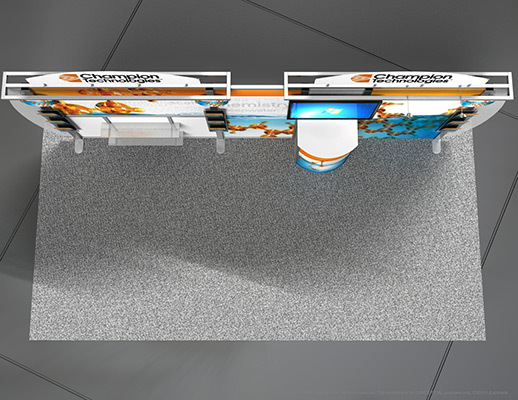 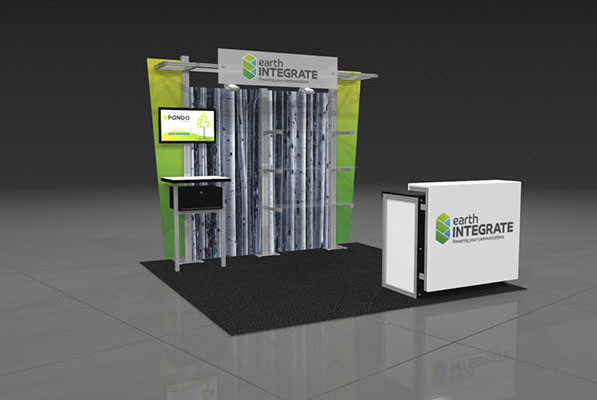 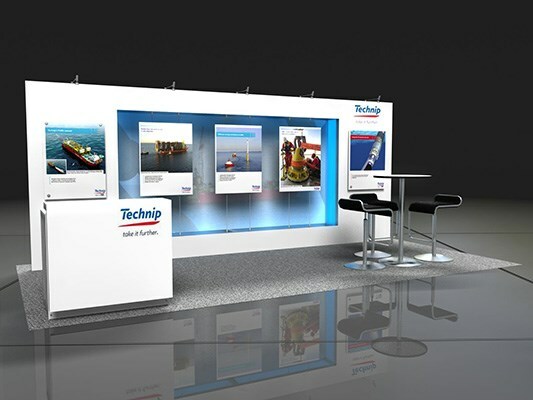 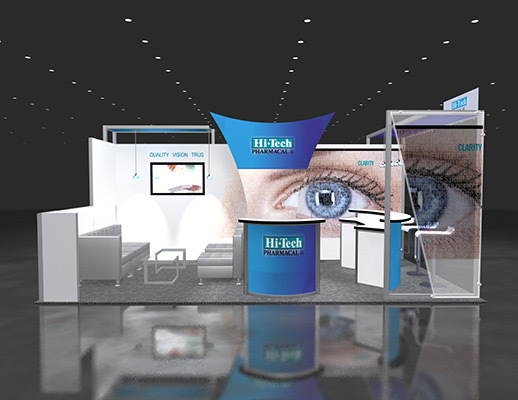 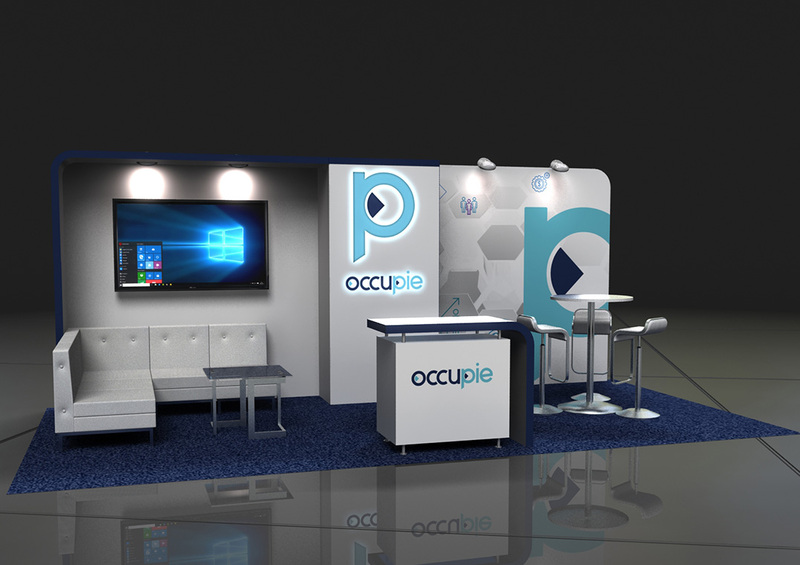 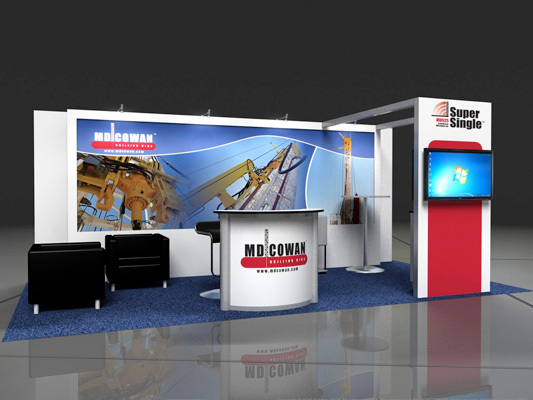 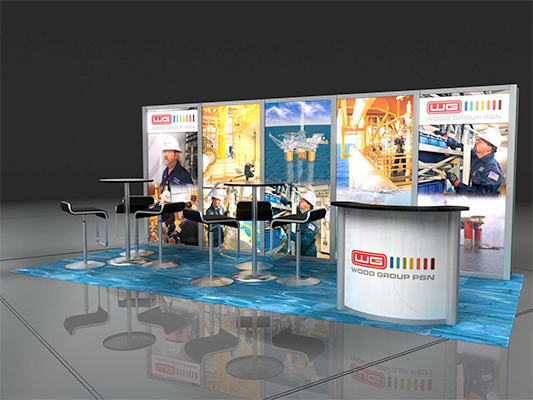 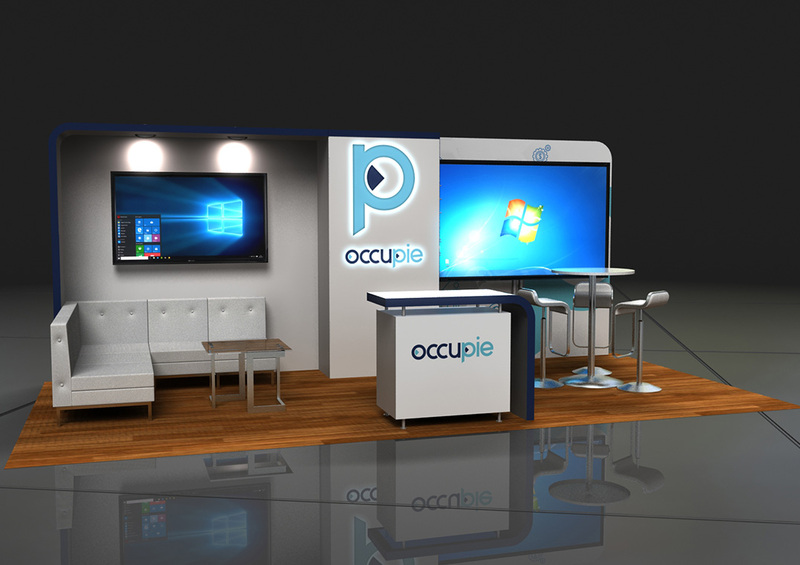 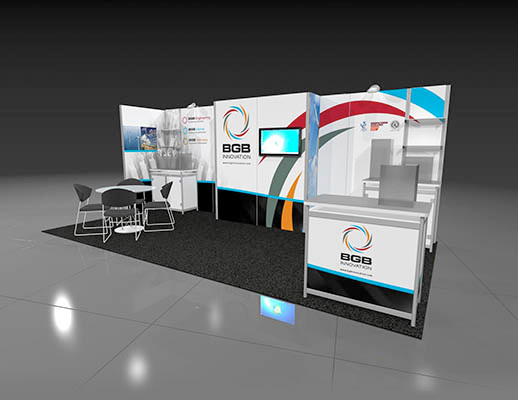 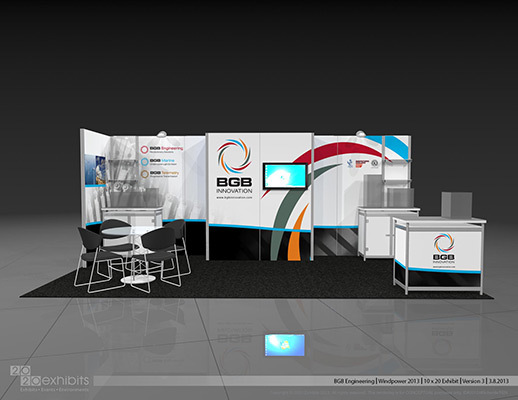 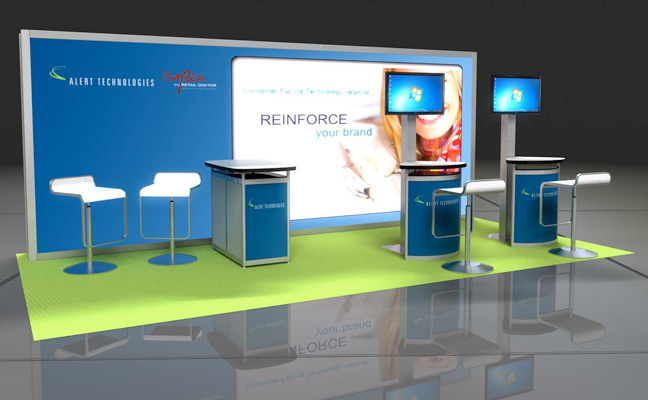 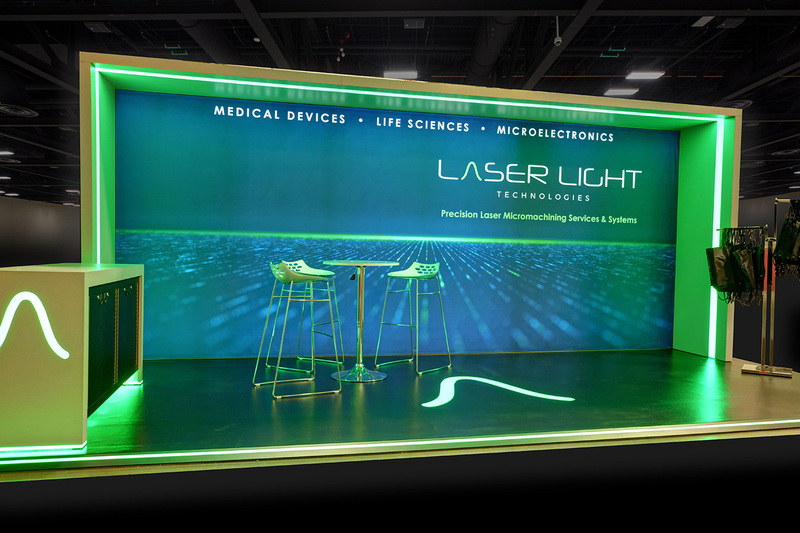 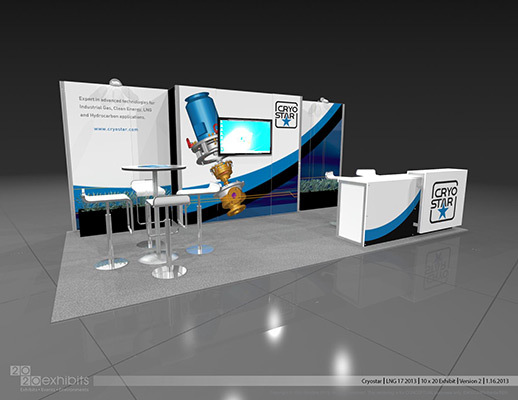 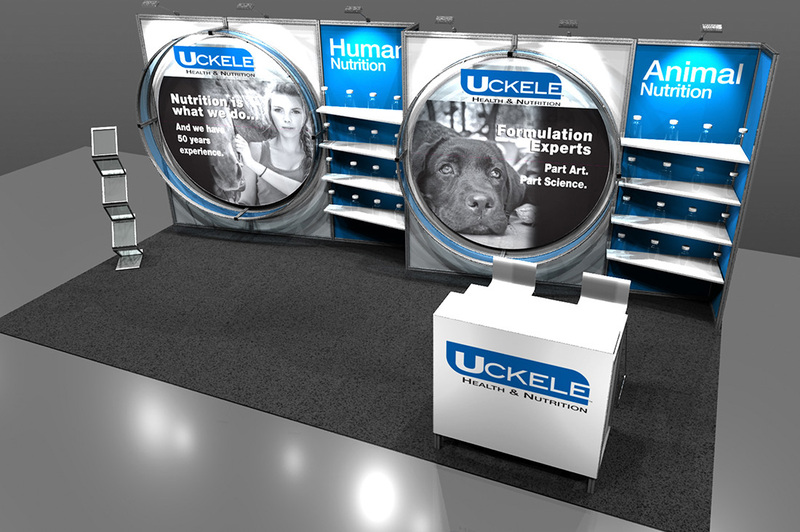 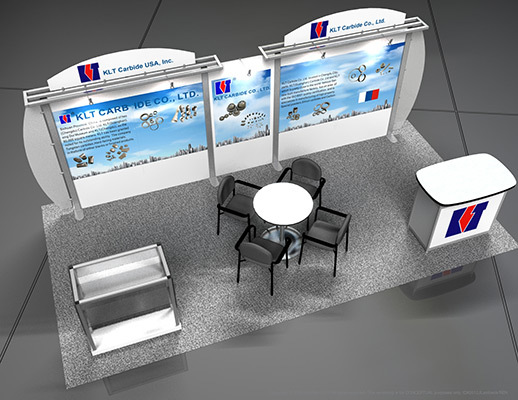 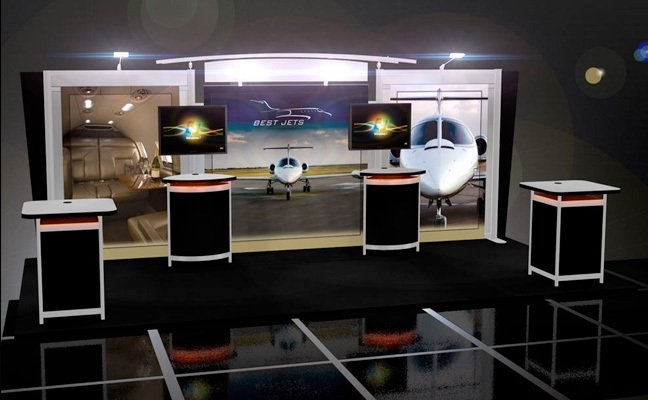 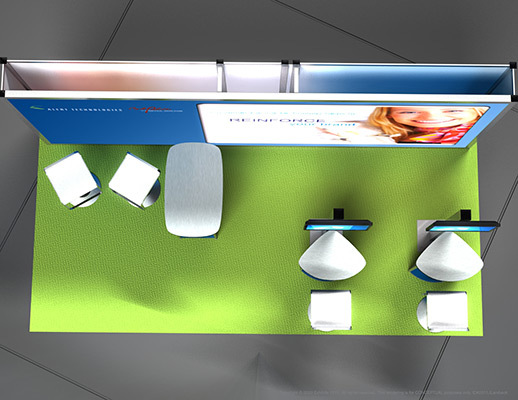 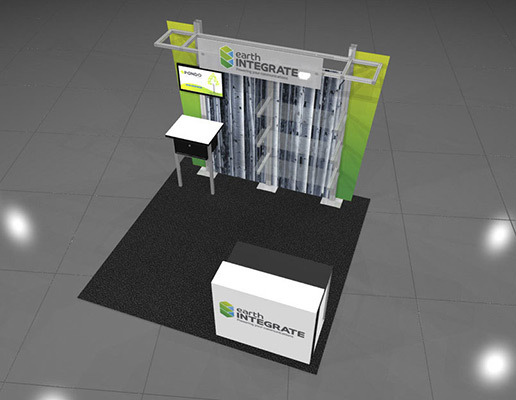 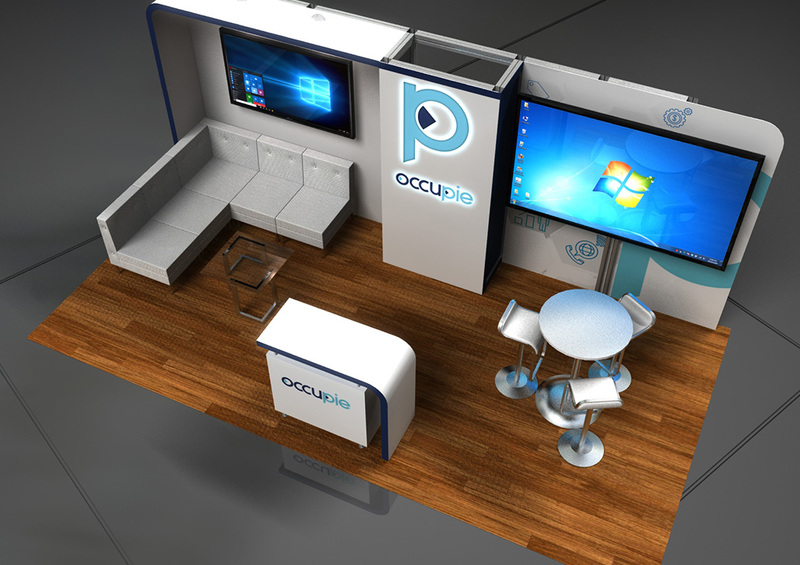 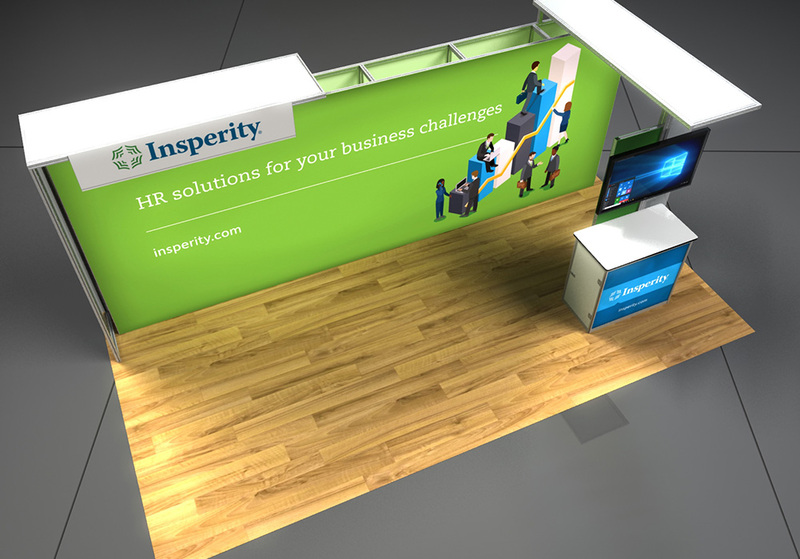 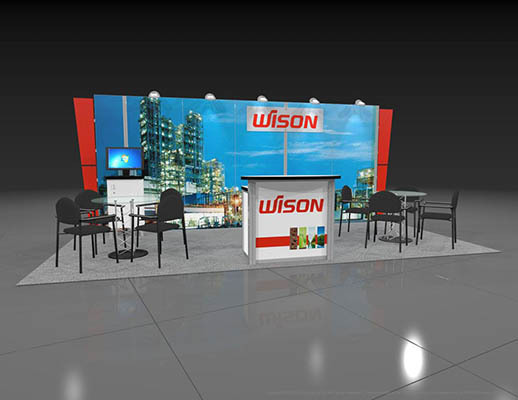 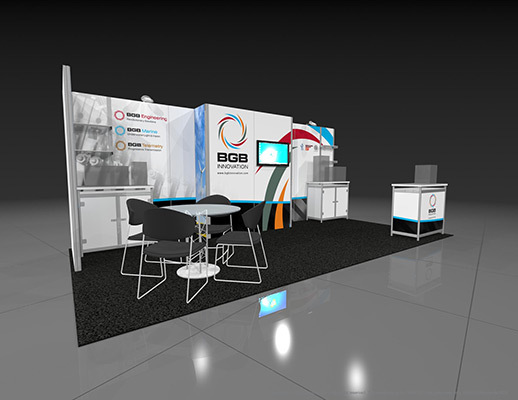 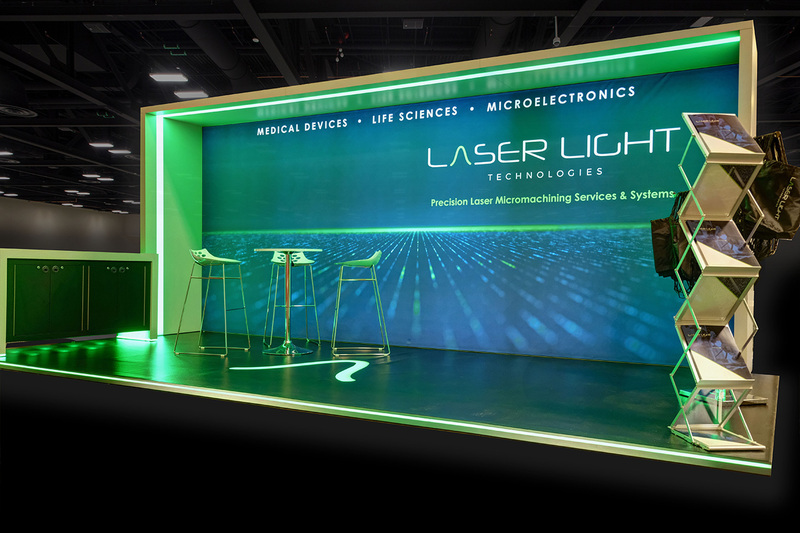 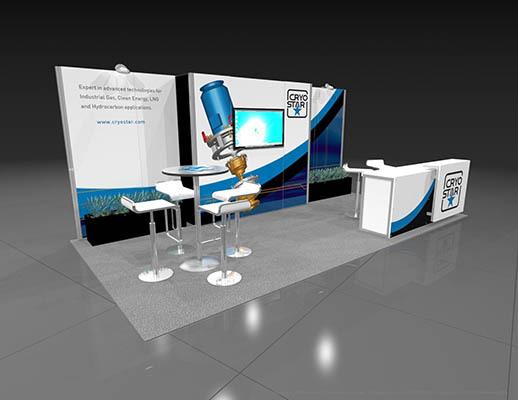 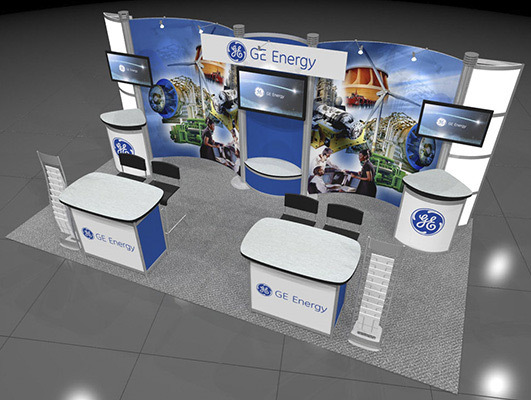 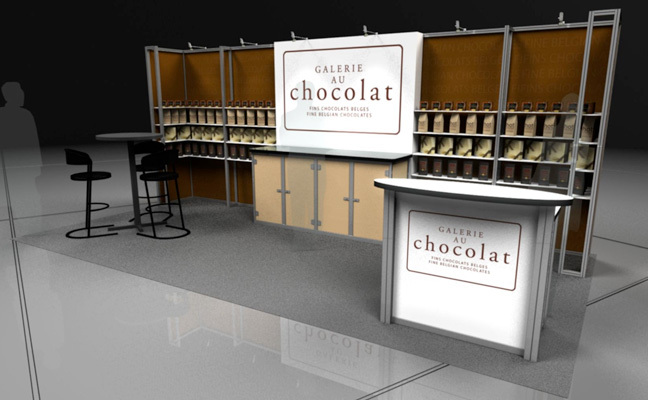 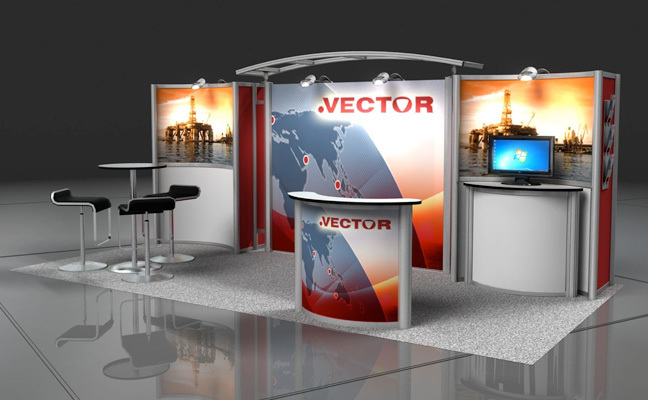 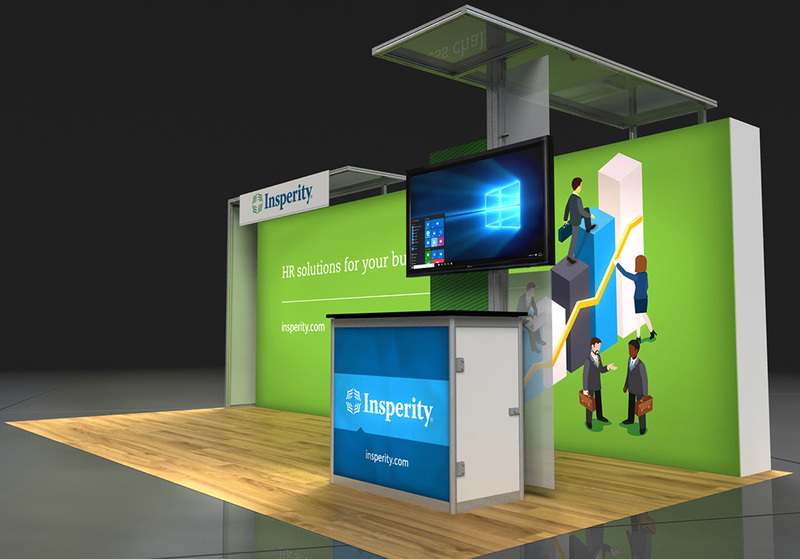 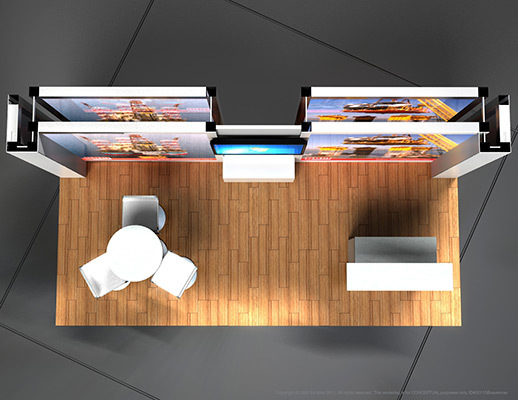 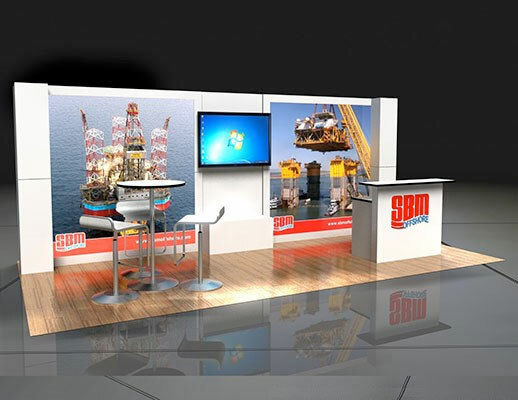 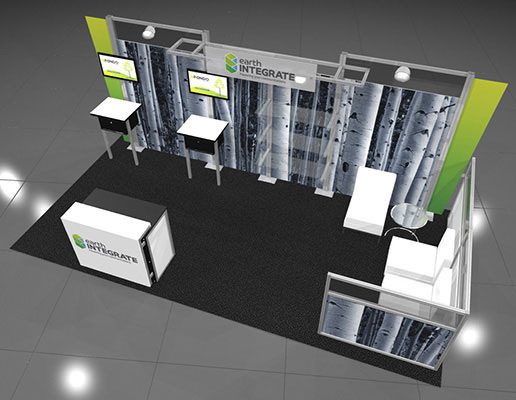 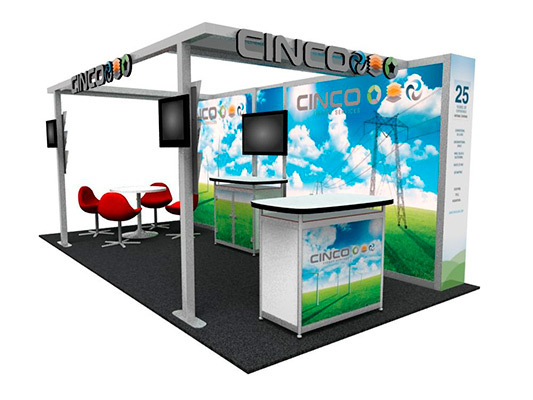 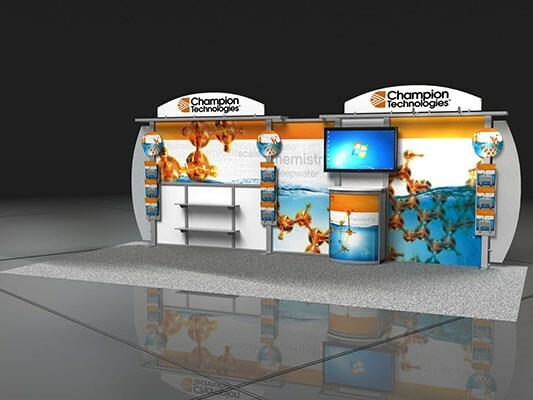 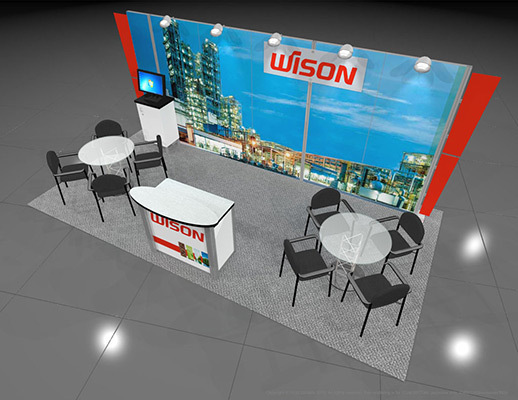 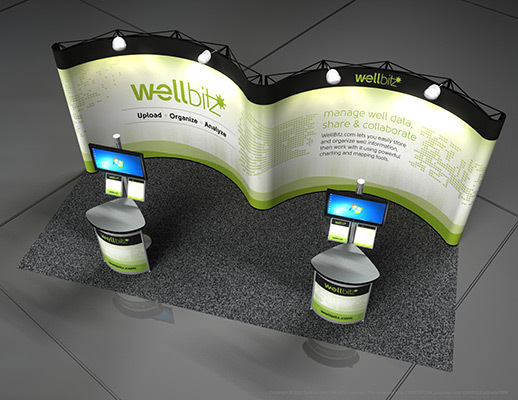 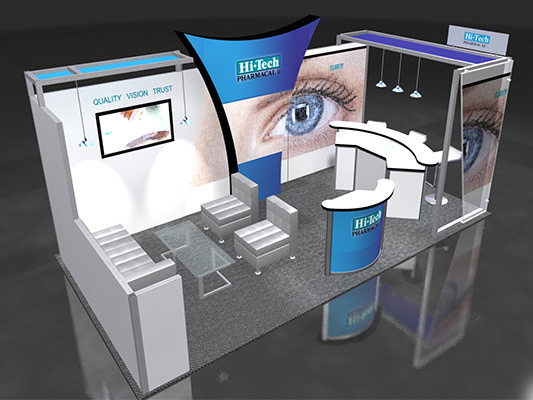 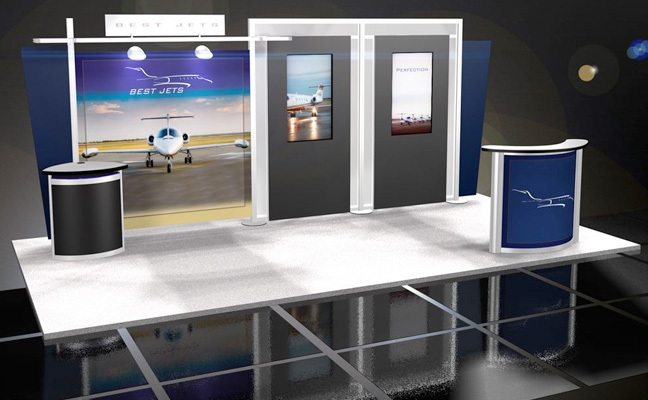 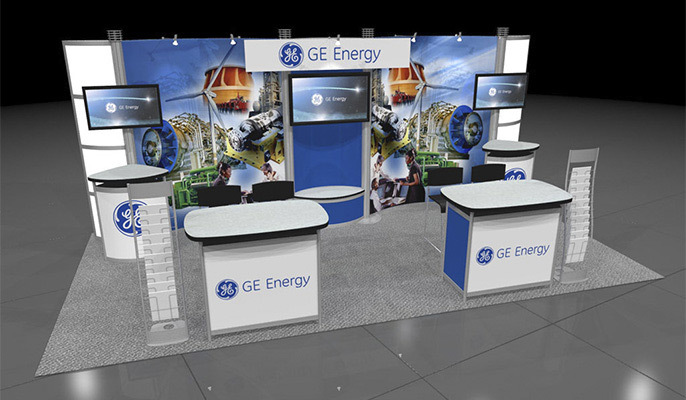 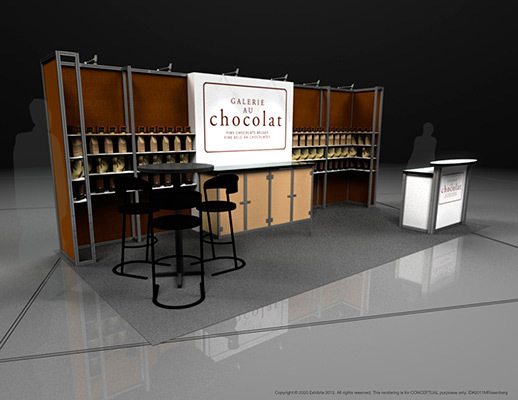 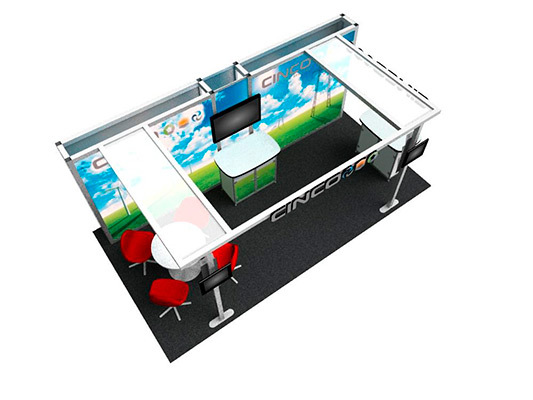 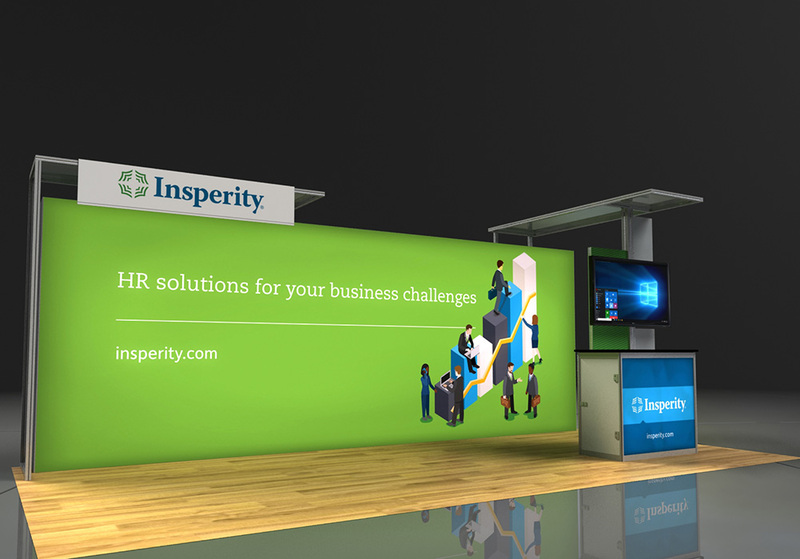 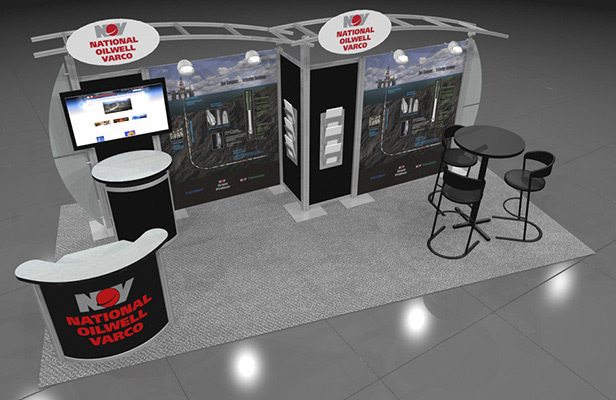 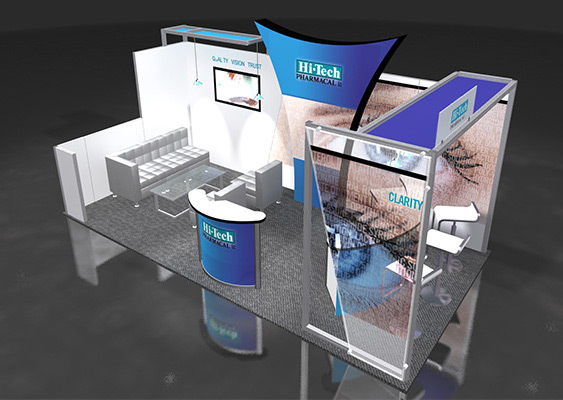 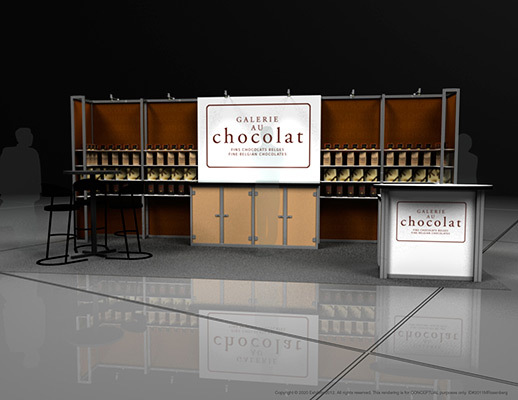 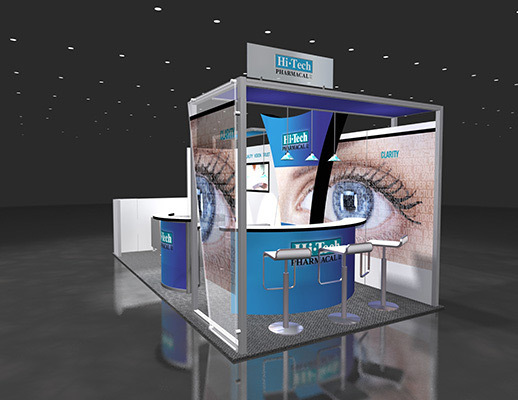 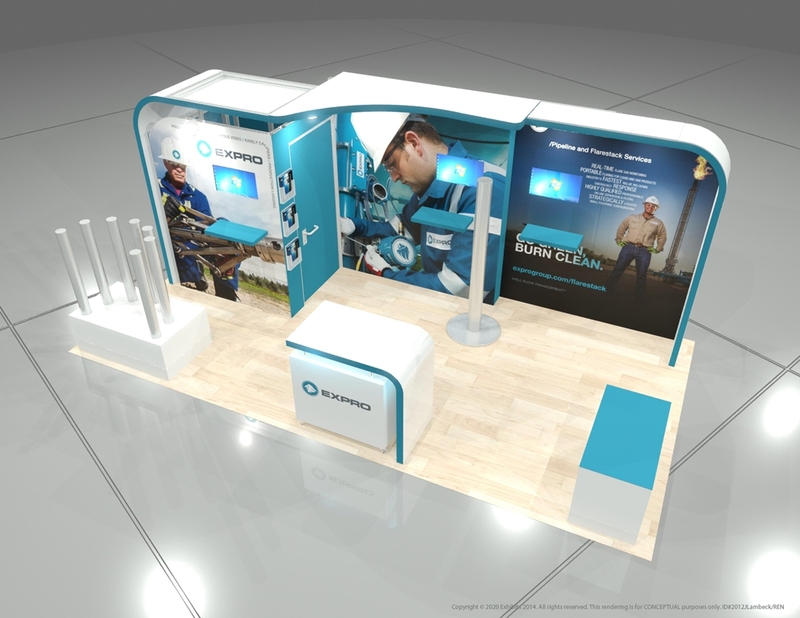 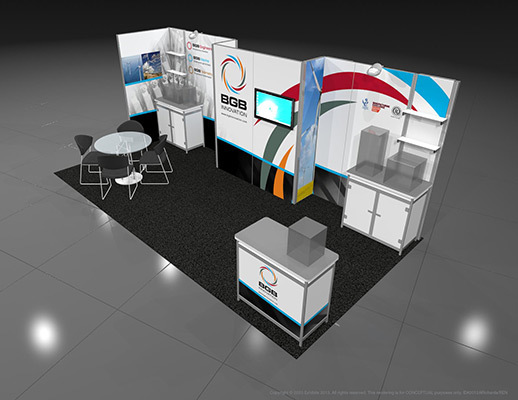 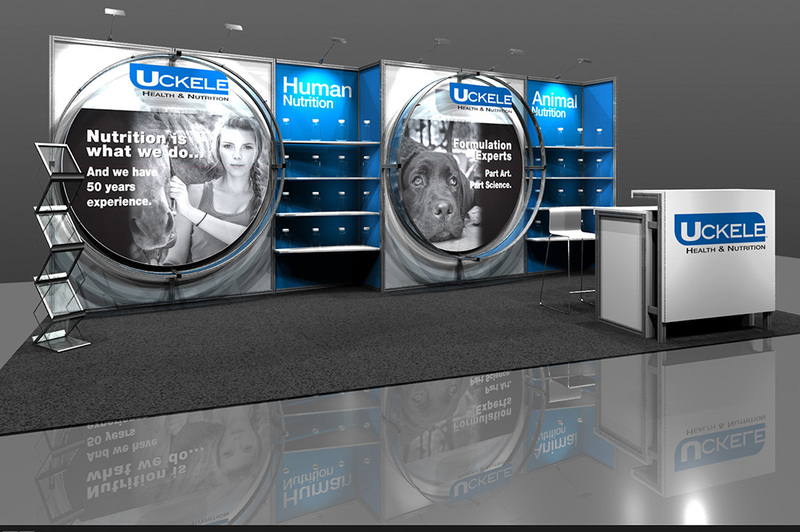 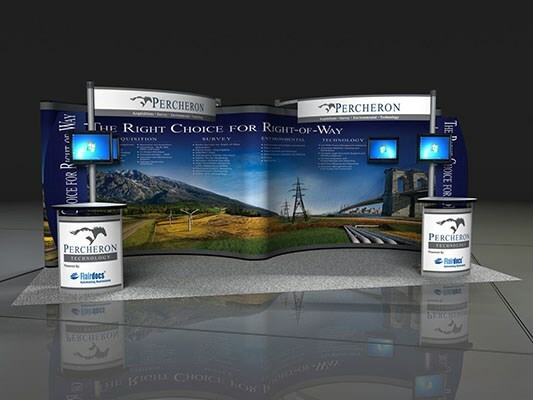 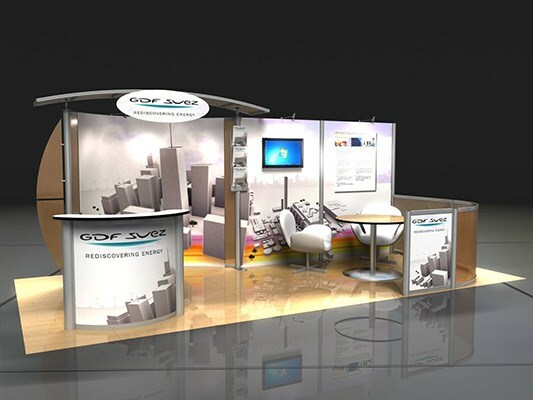 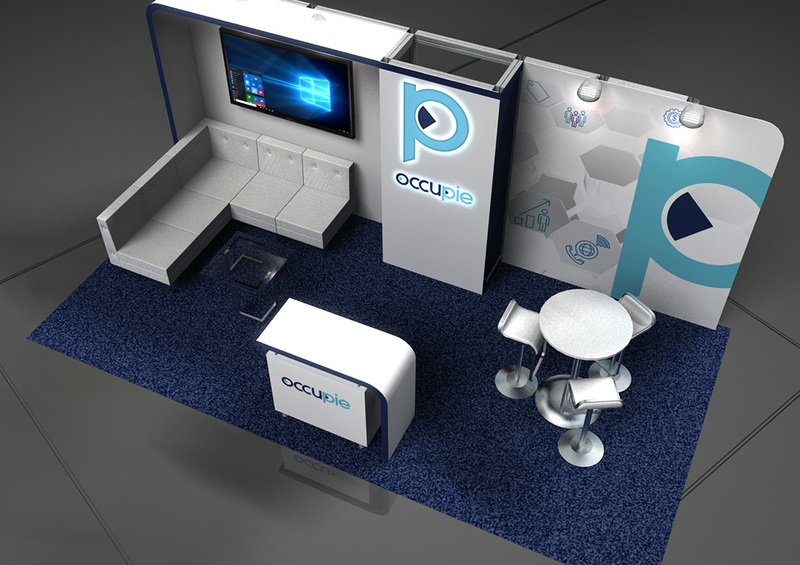 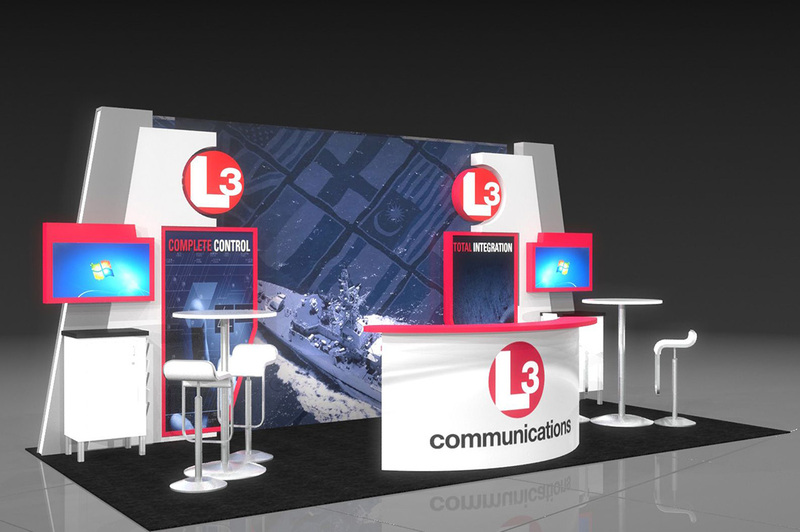 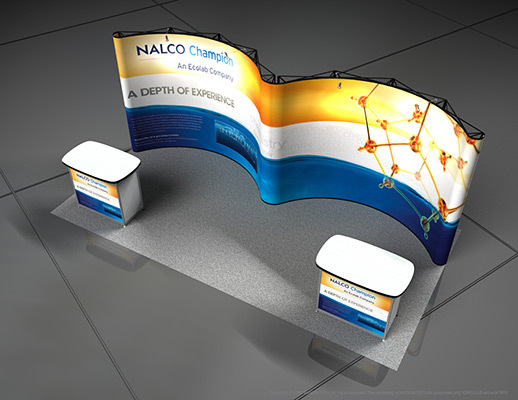 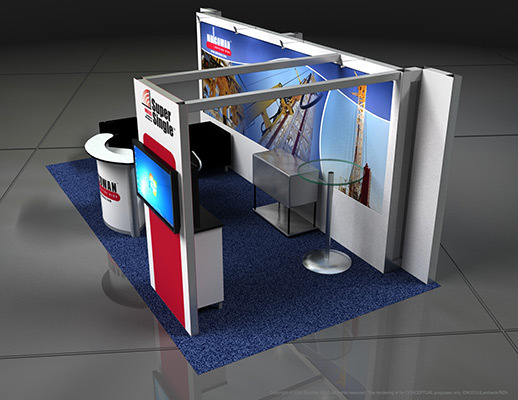 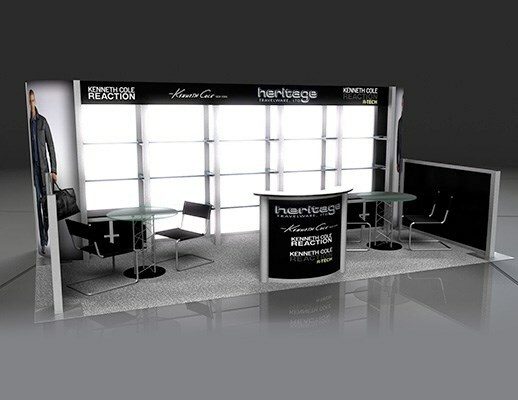 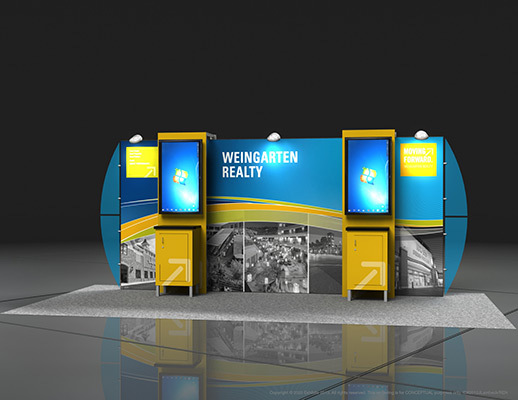 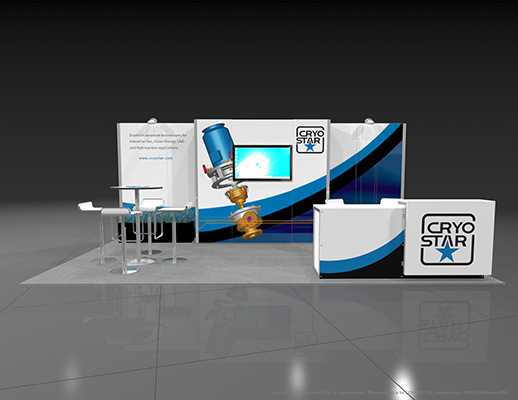 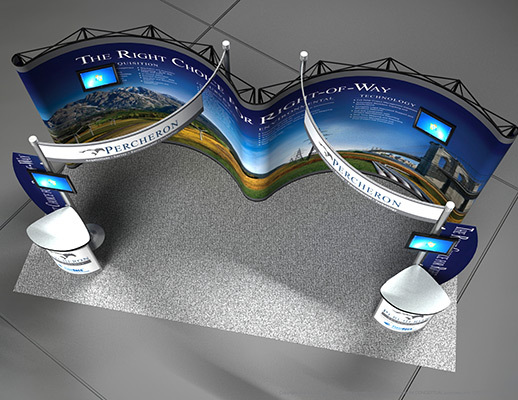 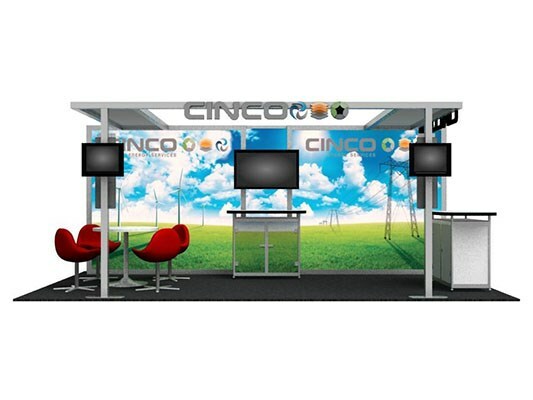 With a sleek and modern tone in the design, this booth allows for creative ways to draw attention. 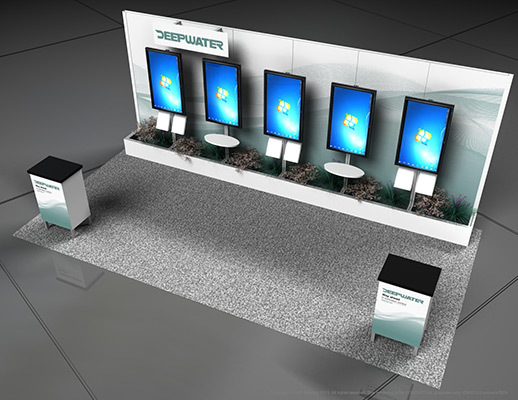 Large video monitor at the center and prominent logos immediately catch the eye. 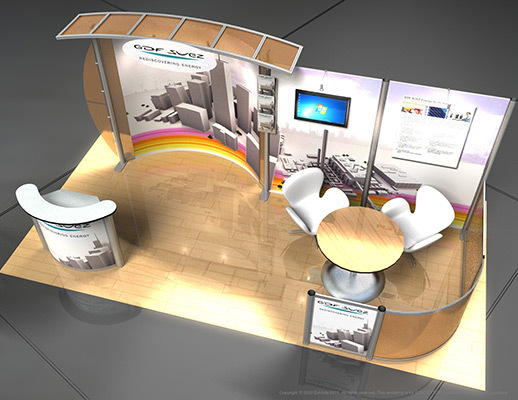 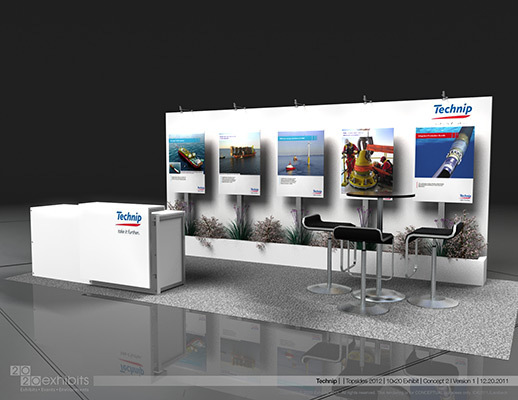 Graphics are simple and large, and are themed to the company's products. 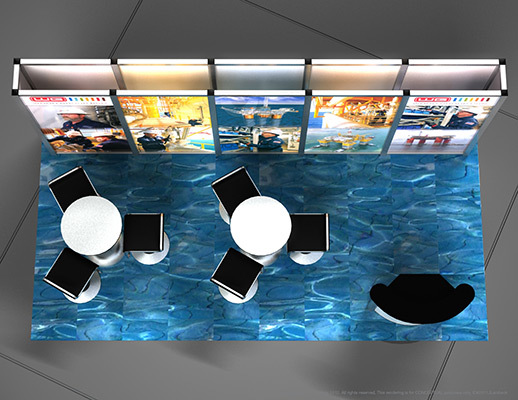 The area is easy to access while maintaining a conversational feel. 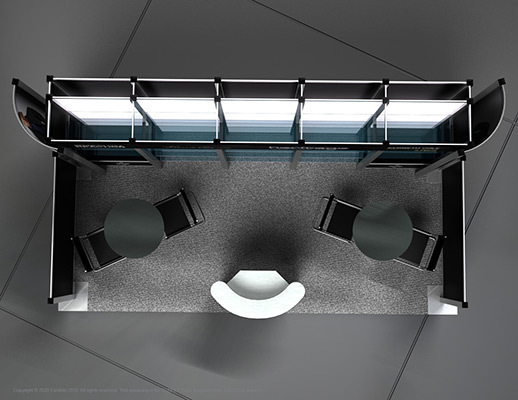 Plenty of area to explore with room for a semi-private meeting area and a reception desk to immediately engage visitors. 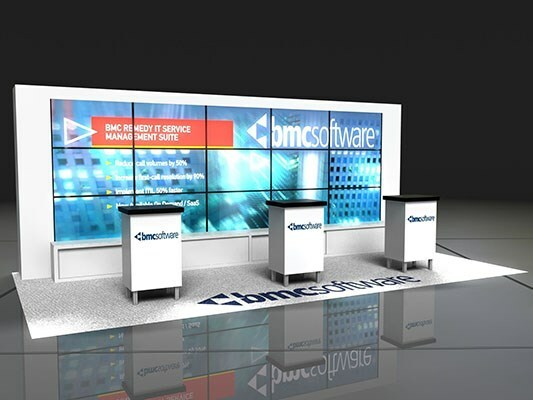 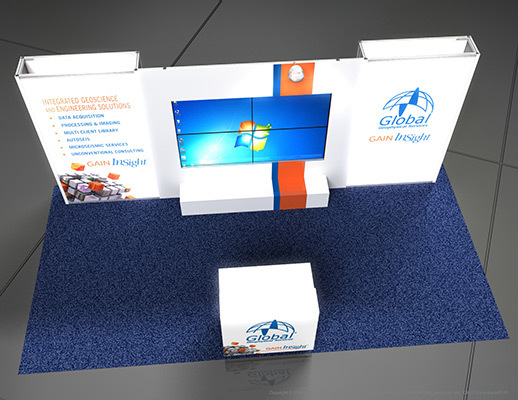 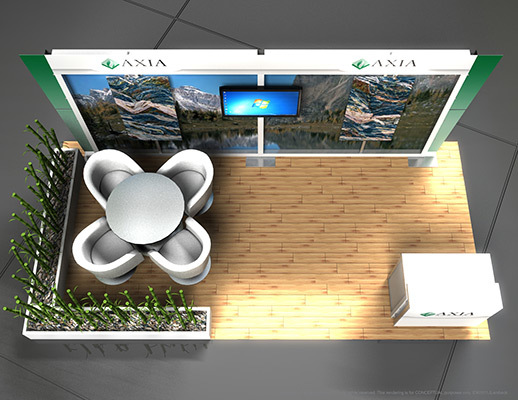 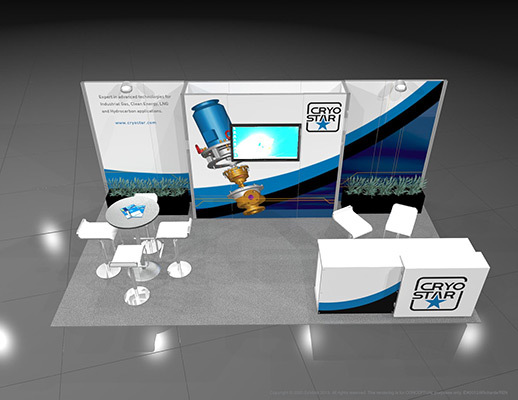 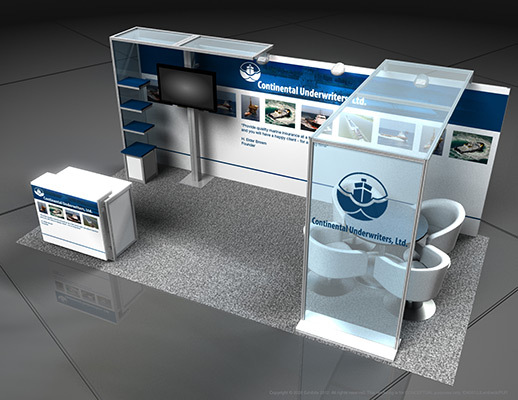 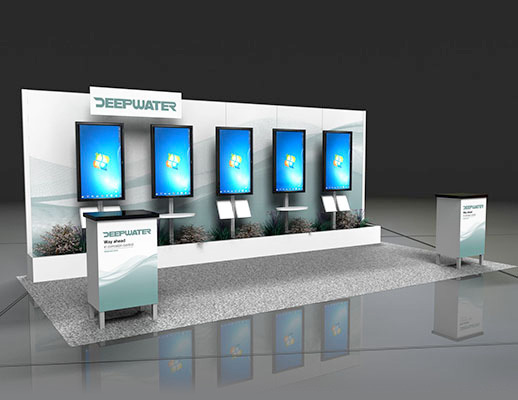 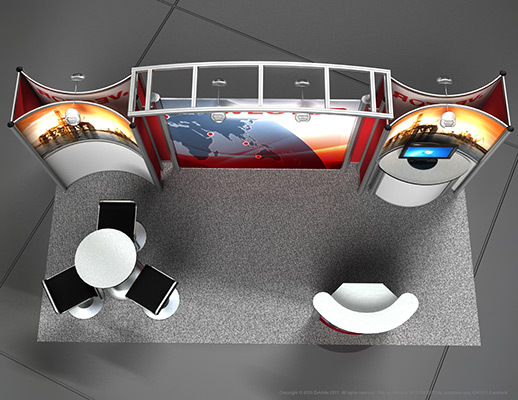 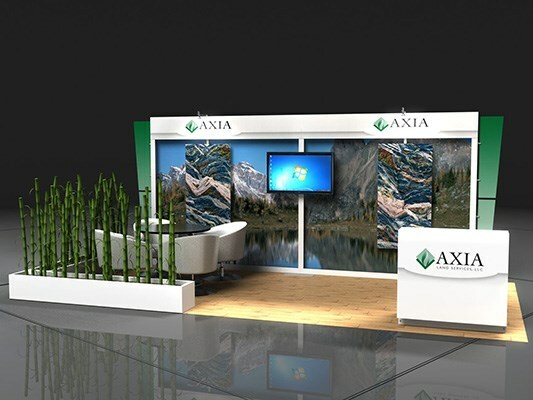 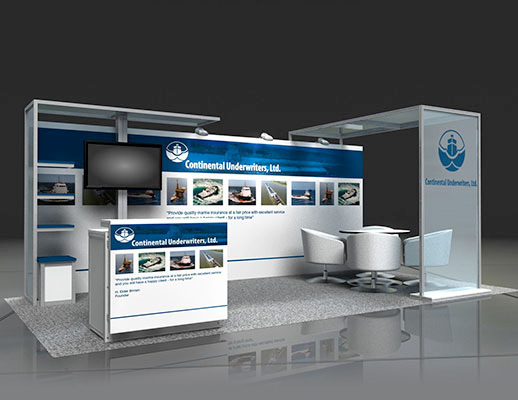 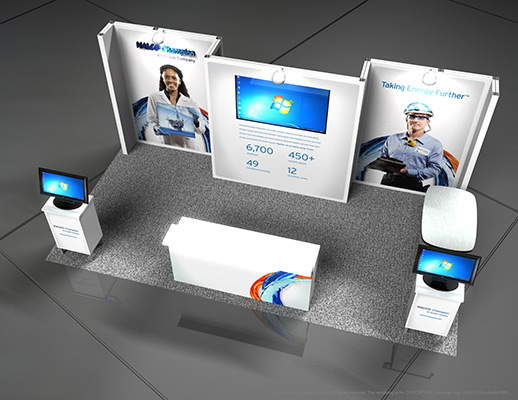 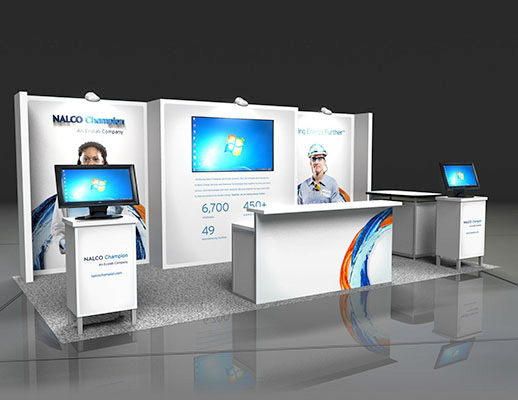 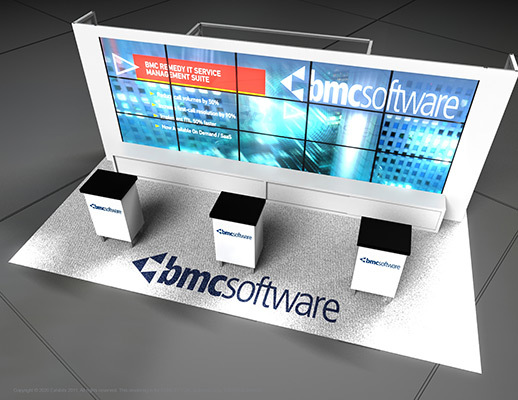 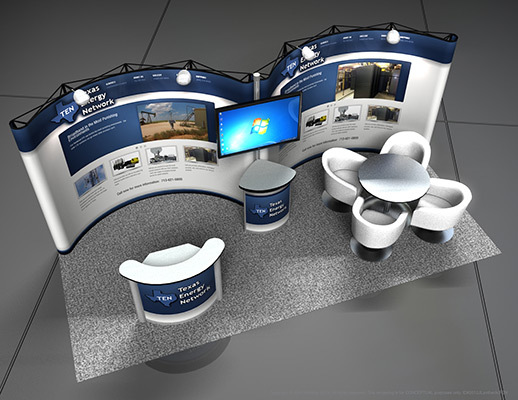 Features include: colorful graphics, back wall of varying depths, graphics in theme with products, large video monitor, semi-private meeting area, reception area with multiple seating, storage cabinets, overhead lighting, informational graphics, carpeted inlay, prominent logos, sharp color scheme and floral/planters.